MS Amoura Dahabiya Nile Cruise offers a unique experience by exploring the immortal Nile River, On board this Luxurious dahebiya, With Dahabiya Nile Cruises you will have the chance to discover the most attractive wonders of ancient Egypt. •	6 double cabins (ca. 13 sqm) with twin or large bed. •	1 Suite (ca. 21 sqm) with large bed, private terrace. •	Large window with a great view of the Nile. •	All cabins are air-conditioned. •	Laundry service & housekeeping. •	Accompanying motorboat to pull it in case wind is calm. Upon arrival you will be met and assisted by Shaspo Tours representative, enjoy an excursion to visit Philae Temple and The High Dam. Upon arrival to Boat, the Captain and his crew will welcome you on board and you will have your bags taken to your cabins. Enjoy lunch on board, sail to Kom Ombo. Dinner and overnight in Kom Ombo. Breakfast on board, visit the Greco Roman Temple at Kom Ombo dedicated to the Falcon God Haroeris and the Crocodile God Sobek, enjoy a relaxing excursion to the temple of Gebel el Silsila. Dinner abd overnight on board. Breakfast on board, enjoy a wonderfull excursion to Edfu Temple by horse carriage, then enjoy free time at leisure walking through the bazaar. Get back on the ship, dinner will served on board, enjoy the night partying with Egyptian cuisine and Arabic Music, sail to Esna, Overnight Esna. Breakfast on board, Disembarkation after breakfast, travel to Luxor and enjoy a wonderful excursion to visit the Valley of the kings, Hatshepsut Temple, Colossi of Memnon , Karnak Temple. Upon arrival at Luxor you will be met and assisted by Shaspo Tours representative, enjoy an excursion to visit the Valley of the kings, Hatshepsut Temple, Colossi of Memnon , Karnak Temple , then you will be transferred to Esan to embark you cruise, sail to Aswan, overnight in Aswan. Breakfast on board, sail to Edfu, Visit Edfu Temple by horse carriage, After your visit to the temple, either ride or walk through the bazaar, this is an extensive bazaar where you can barter for souvenirs, spices and perfumes. Lunch on Board then continue Sailing till Silsela Hormoheb Temple , Dinner will be served in the grounds of the Temple or in an island or on the upper deck of Boat whilst soaking up the tranquil atmosphere with music to match the mood. Breakfast on board, sailing to Kom Ombo Temple, visit to the Greaco Roman Temple Kom Ombo. 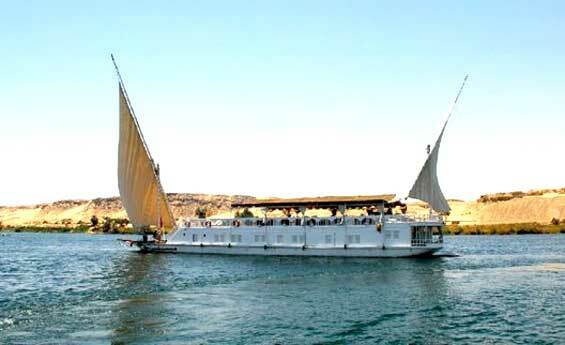 Enjoy sailing to Aswan and listen to the sounds of the water buffalo as they wade in the shallow water while you wil see the Donkeys on the banks of the Nile as they go about their day to day business and the various bird life of the river. Overnight close to the doors of Aswan city.